Shiny Treecko in game: 108 Who? Important notice! 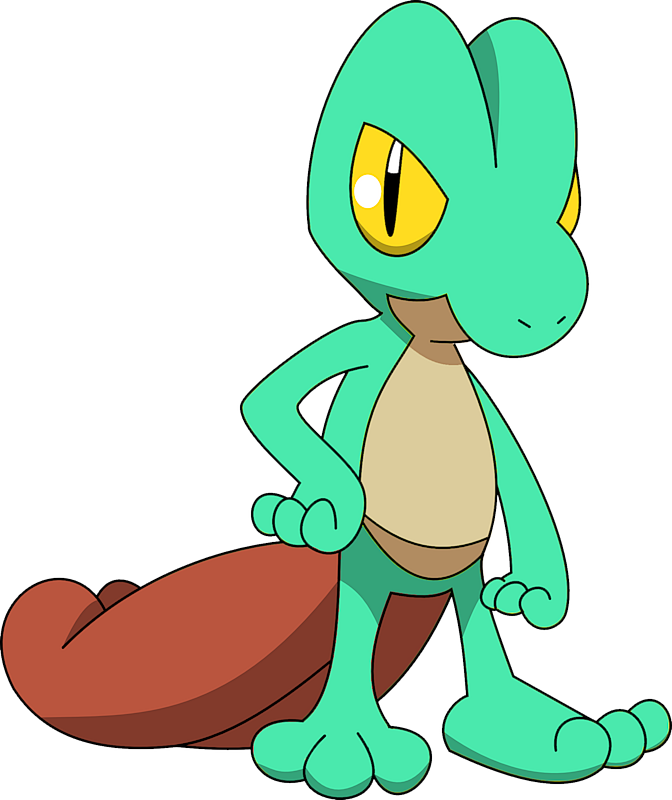 Pokemon Shiny Treecko is a fictional character of humans. Ash Ketchum has a Sceptile that he caught as a Treecko in Tree's a Crowd. It evolved into Grovyle in Exploud and Clear, and in Odd Pokémon Out, it reached its final form. 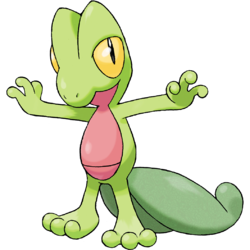 A Treecko appeared in Battling with Elegance and a Big Smile!, under the ownership of Sawyer. It also appeared in A Fashionable Battle! in a Double Battle against Ash's Frogadier and Hawlucha. 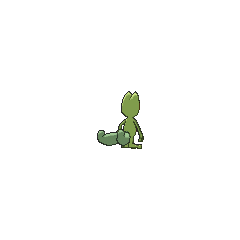 It evolved into a Grovyle in Rivals: Today and Tomorrow! and was later revealed to have evolved into a Sceptile in A Meeting of Two Journeys!. 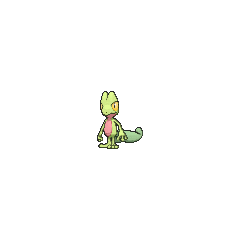 Treecko first appeared in Get the Show on the Road. Professor Birch was showing May the three Pokémon she had the choice of starting with. She did not choose Treecko because it "creeped her out". In Having a Wailord of a Time, a Nurse Joy was taking care of a female Treecko, Torchic and Mudkip that a little girl named Stephanie was going to choose between as her first Pokémon. Stephanie chose Mudkip, and Stephanie's dad decided to become a Pokémon Trainer with the Treecko as his first Pokémon. Mew took the form of a Treecko in Lucario and the Mystery of Mew. A Treecko appeared in Alexa's magazine in The Journalist from Another Region!. 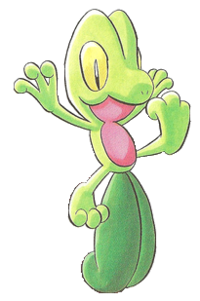 A Treecko appeared in Pikachu and the Pokémon Music Squad. Treecko was the only starter Pokémon of Hoenn that was not recruited into a protagonist's team at the beginning of the Ruby & Sapphire chapter, instead being passed in favor of Mudkip because it looked ugly to the beauty-obsessed Ruby. When it was finally destined to meet its partner, the huge rainstorms caused by Kyogre sent it and the final Hoenn Pokédex drifting away, and after it had finally been recovered by Wally and evolved, it was sent flying away and was lost again, even after the Pokédex was returned. Evolving again into a Sceptile, it was this time caught in the wild by Guile Hideout and stolen by its proper owner, Emerald.